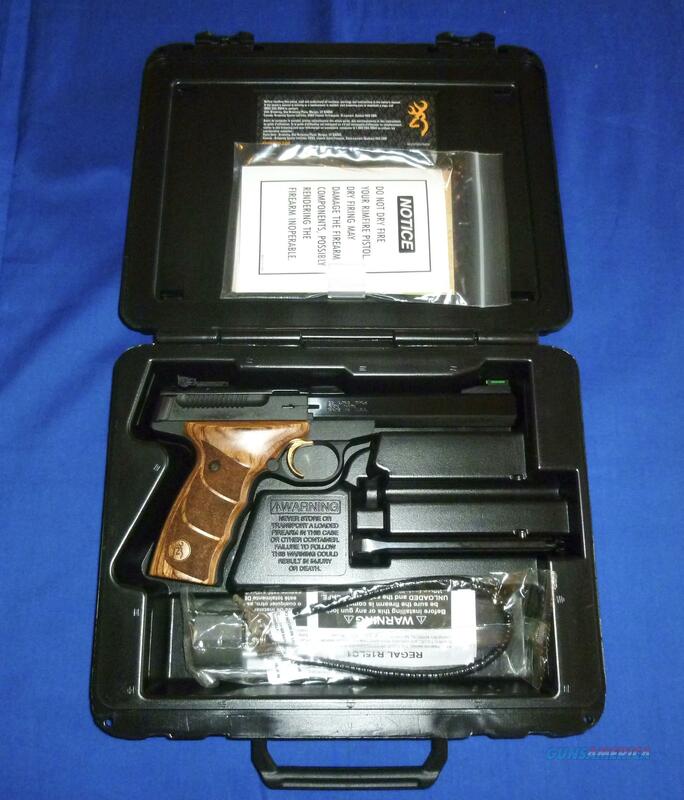 Description: BROWNING BUCK MARK PLUS UDX 22LR PISTOL. 5 1/2" slab sided barrel, Truglo fiber optic front sight, Pro Target fully adjustable rear sight, 10 round magazine, steel barrel with polished blued sides, matte blued on top and bottom of barrel, alloy receiver and frame with matte blued finish, textured walnut laminate grip panels and gold plated trigger. This pistol is brand new in the case with magazine, lock and paperwork. Please add 2.5% for credit card payment as price reflects a cash discount.